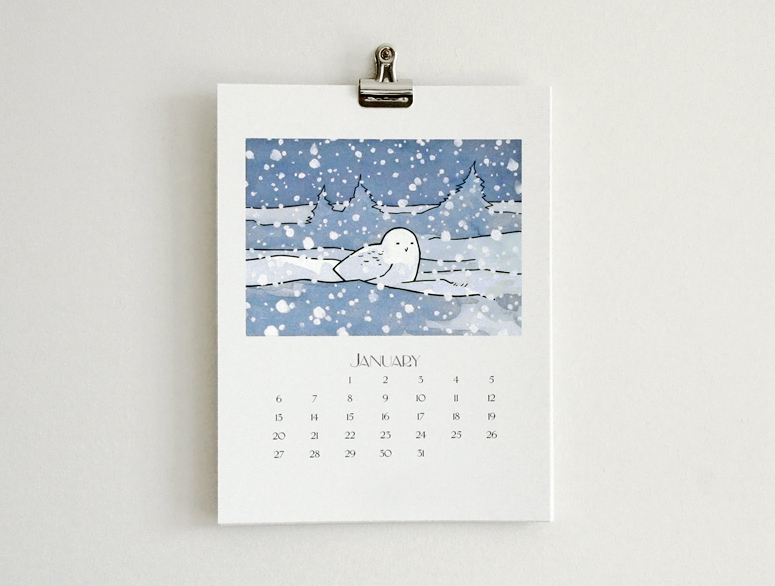 A new 2013 Owl Calendar in the shop! Printed on a sturdy 100% Recycled Paper. 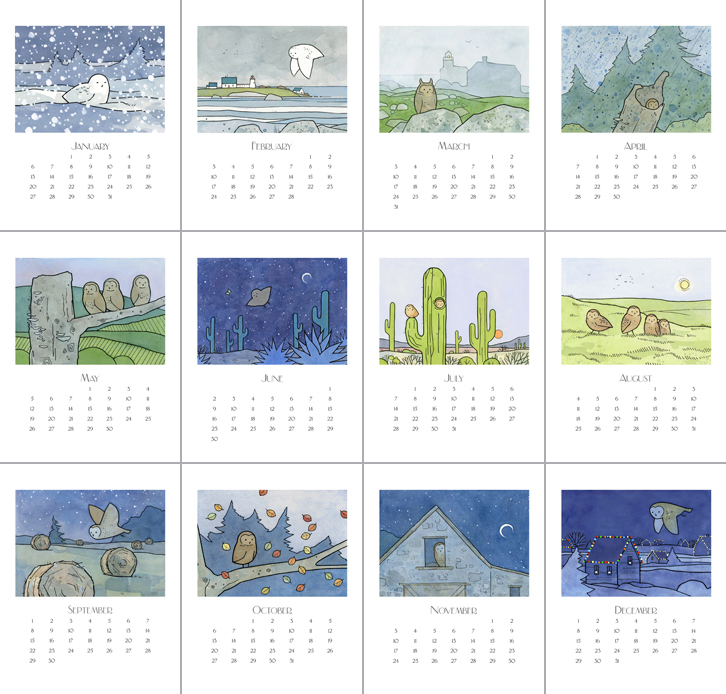 A different owl illustration for every month. But I clicked on the link and it’s not there! Oh thanks! Not sure what happened there, but I just fixed it. As I say in the post, following the chain-letter form is absolutely optional; I mostly wanted an excuse to link to your work.